L&T hydrocarbon Engineering is recruiting for the post of Manager/ Engineers 2015.Location at Gujarat. Eligible candidate can apply here on or before 2nd June 2015. 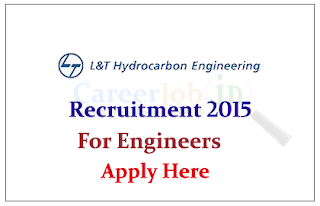 Eligible Candidates can send their CV to hcp@lntenc.com on or before 02.06.2015, for more details check official notification.